Need Help With Weight Watchers? 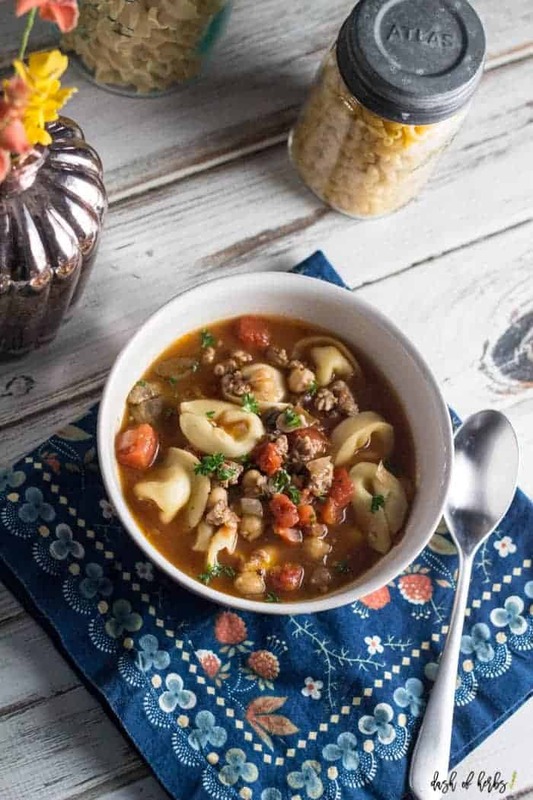 If you are looking for a soup that is hearty and delicious, look no further. 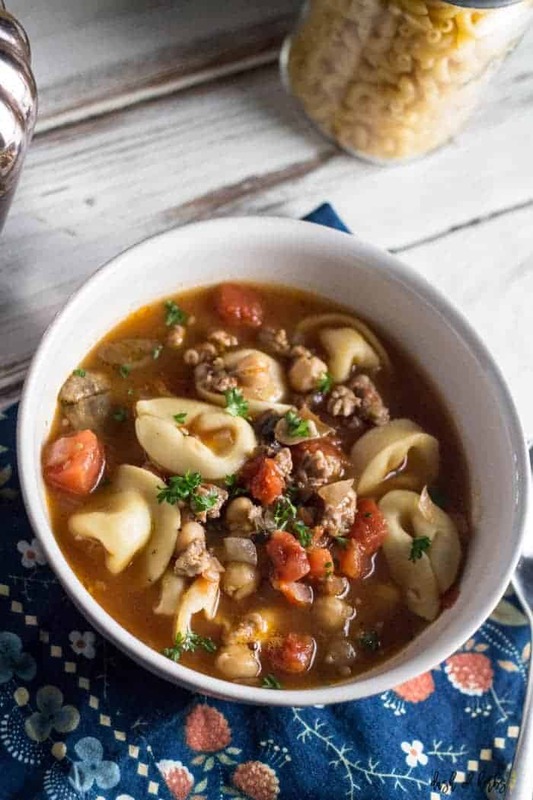 This hearty tortellini soup with sausage is perfect for either a wonderful lunch or a dinner that will keep you full all night long. 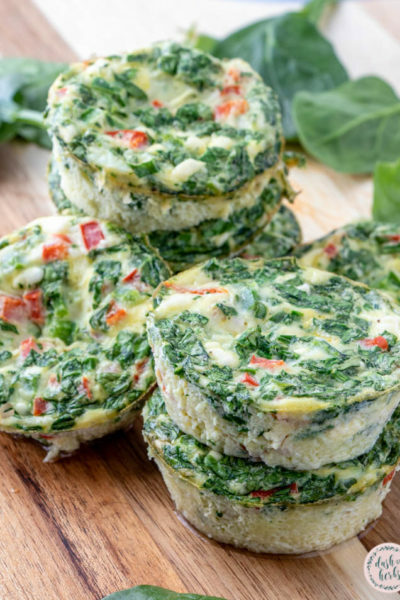 This recipe is 7 Freestyle points per serving. How many of you struggle eating a healthy lunch? I know that it can be such a challenge for most people who work full time jobs (and even those at home with kids). But it doesn’t have to be that difficult. 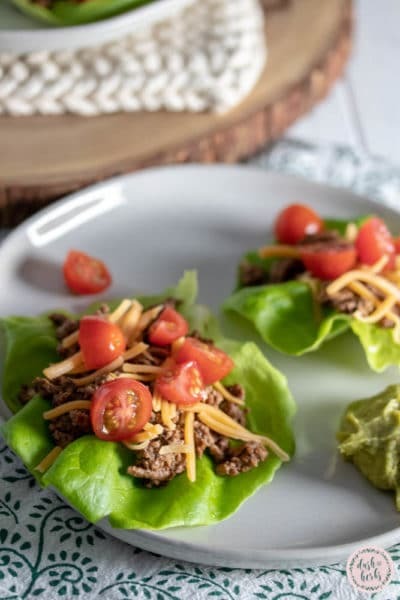 What I love about most recipes is that you can make them ahead of time and just bring some of the leftovers for lunch. My husband is doing this frequently now, and he loves it because he’s saving money and eating healthier than some of the fast food options around him. It just takes a little bit of prep work to get your lunches planned for the week. 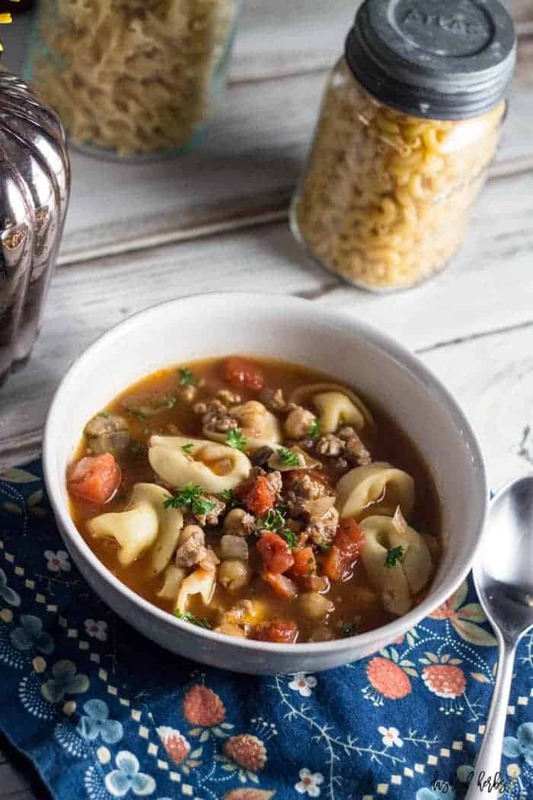 This sausage and tortellini soup is perfect to make over the weekend and pack for lunches all week long. 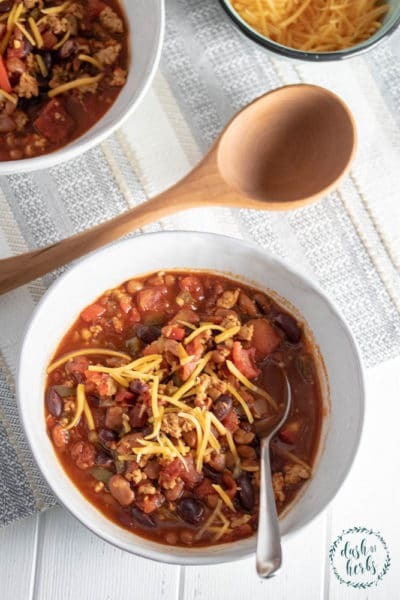 It’s hearty so it will keep you full until it’s time for either a snack or dinner. And it’s incredibly easy to make. 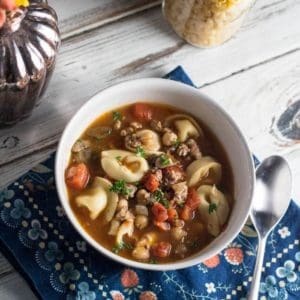 I loved using the fresh tortellini that I found at the grocery store for this recipe. 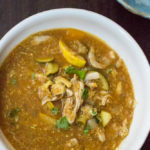 It was perfect and so cheesy, which added to the flavor and texture of the soup. Plus, it’s cheese – who doesn’t like cheese? 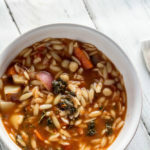 I also love making this spicy white bean and collard green soup with rice recipe when it’s cold outside. If you are looking for a vegetarian dish on chilly nights, try this one. In a large stock pot, heat half of the oil over medium heat. Add the sausage and cook, breaking up with a wooden spoon, until the sausage is fully cooked (about 15 minutes). Drain and set aside. Add the remaining olive oil to the pot. Add the onion, garlic and mushrooms and cook for about 10 minutes, or until the mushrooms have released their juices. Stir in the tomato paste and cook 1 minute. Add the vegetable stock, water, salt, pepper, diced tomatoes and chickpeas. Bring to a boil. Reduce the heat and simmer for about 5 minutes. Add the tortellini and cook for about 8 minutes, or until they are done. 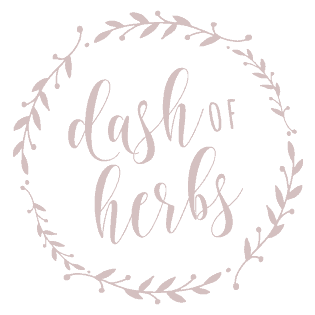 Remove from heat and stir in red wine vinegar (if using). Scoop out 1 1/2 cups of soup into bowls and serve immediately. 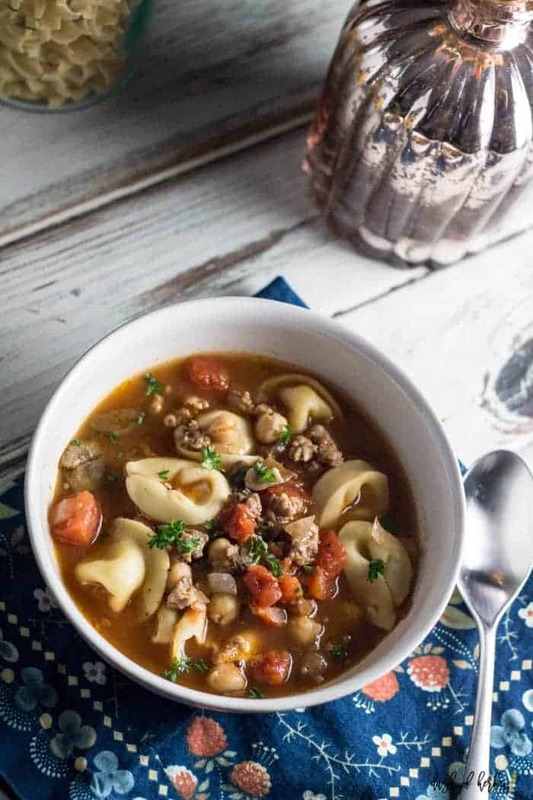 What kinds of soup recipes do you love the most? 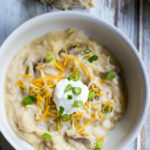 This recipe is 7 Freestyle points per serving, 1 1/2 cups of soup. Add the vegetable stock, water, salt, pepper, diced tomatoes and chickpeas. Bring to a boil. Reduce the heat and simmer for about 5 minutes. Add the tortellini and cook for about 8 minutes, or until they are done. Remove from heat and stir in the cooked sausage and red wine vinegar (if using). Thank you so much! It is delicious. 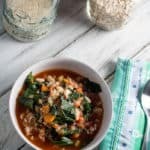 I love soup- this sounds delicious! Thank you so much – it’s wonderful! Thank you so much! I hope you love it as much as we did. Pinned it! 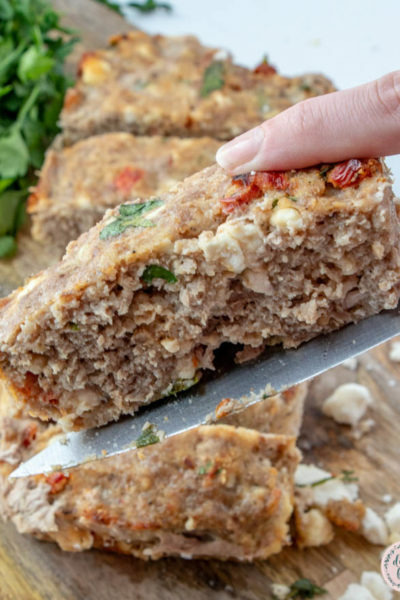 Totally making this for lunches! I do too. No one has time for difficult lunches. It’s SO good. 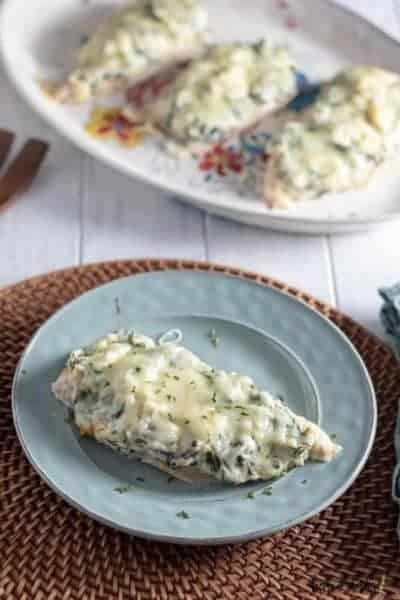 I love recipes like this for lunch! Looks so delicious! Sign up below for free Weight Watchers Resources sent directly to your email address.